Hhaha. Shoot. 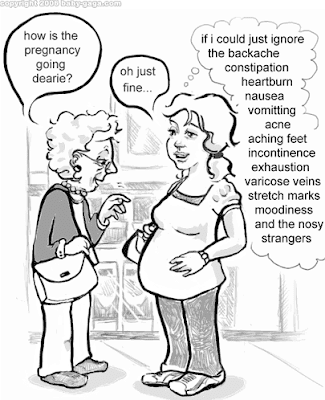 I know I'm guilty of always asking a pregnant woman "And how are you feeling?" I'm sure you all hate me for it, but I feel awkward - like I need to address the pregnancy, but I'm not sure what else to say..
Haha...its PERFECT! Shelby I want to see you soon!! that was hilarious! and perfect for how you must feel right now!